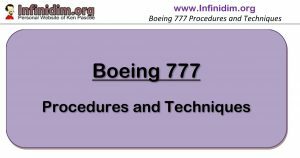 As Boeing’s first Fly-By-Wire aircraft (although not necessarily fly-by-wire by the Airbus definition) the 777 introduced a flight control augmentation system that the first fly by wire Airbus aircraft did not – Thrust Assymetry Compensation, or TAC. The basic problem is clear. During an engine failure on a twin wing-mounted engine aircraft there is an assymetry between the left and right sides – that is, typically one of the engines is producing lots and lots of thrust; the other is producing none at all (and in fact may well be producing extra drag with windmilling fan blades, etc). A pilot therefore needs to counter the quite strong tendency of the aircraft to yaw towards the failed engine or else lose control of the aircraft altogether. Sufficient rudder pedal input on the flight deck is required to deflect the rudder on the tail to offset the asymmetry. A badly handled engine failure (apart from the obvious loss of control issue) can result in poor climb performance – or none at all. The loss of an engine in today’s big twins typically results in a loss of 50% of available thrust – and 80% of available performance. Simple in concept – the TAC provides an input to the rudder (eventually) which assists the pilot in maintaining control of the aircraft. This lowers workload on the pilot and aids in maximising the performance of the critical after takeoff engine climb out phase. What could be simpler? 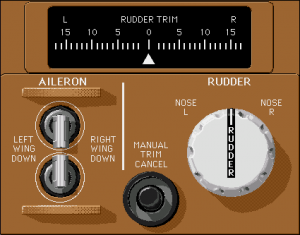 The first thing that needs to be said, is that TAC typically does not provide a rudder input. In fact TAC drives the Rudder Trim control, which in turn drives the rudder pedals on the bottom of the pilot’s feet, which drives the rudder. This is a crucial distinction since it means that normally all TAC input to the flight controls is felt directly by the pilot through the aircraft’s controls. This is the major distinction between Airbus and Boeing in this regard. Contrary to common belief – TAC does not detect the asymmetric yaw of the aircraft and counter it. TAC works strictly on engine parameters, calculating thrust produced by both engines in order to determine any disparity. Should that disparity increase beyond a certain threshold (nominally about 10% of max thrust) then TAC begins to feed in rudder trim. The larger the disparity, the larger the trim/rudder input. There is no inertial involvement in the TAC calculation – that is, the IRS doesn’t detect Yaw and provide this information to the TAC. Apart from the result of thrust calculations – TAC is also advised if the thrust computation is valid – but more on this later. You may have noticed the hole in this. 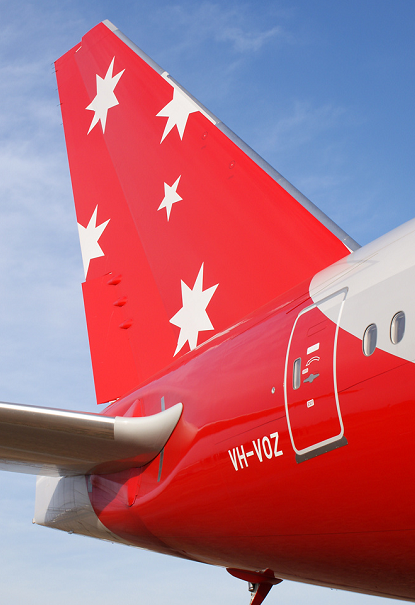 Could you deal with the sudden loss of thrust during an engine failure on takeoff – with only the Rudder Trim? I think not, and neither can/does TAC. In response to a sudden loss of thrust during takeoff, TAC commands a high rate rudder input direct to the flight control surfaces – this rudder deflection is not fed back through to the rudder pedals. 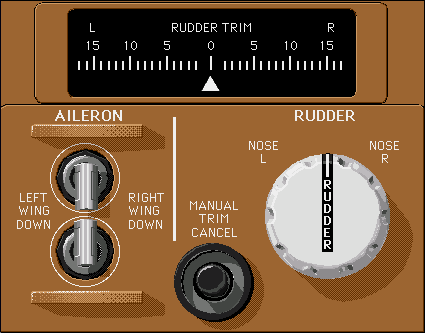 At the same time the TAC commands a high rate rudder trim input (remember there are two rates of trim input on the 777 – half twist is half rate trim, full twist is full rate trim command) which moves the rudder pedals until the amount of rudder commanded by the rudder pedals (as felt by the pilot) is the same as is being commanded by the TAC direct to the rudders as a result of the thrust discrepancy. As such it’s important for pilot’s to realise this when experiencing an engine failure on takeoff with the TAC working. Instinctively (I hope) all pilots will apply rudder to keep the aircraft straight on the runway during an engine failure – TAC or no TAC. At this time, they are operating in concert with the TAC, which is fine. However once airborne, pilots will need to make a conscious decision to assess whether the TAC is working, and release the rudder (slowly, just in case). 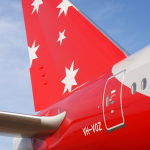 Unfortunately TAC can and does fail – including during engine failures. 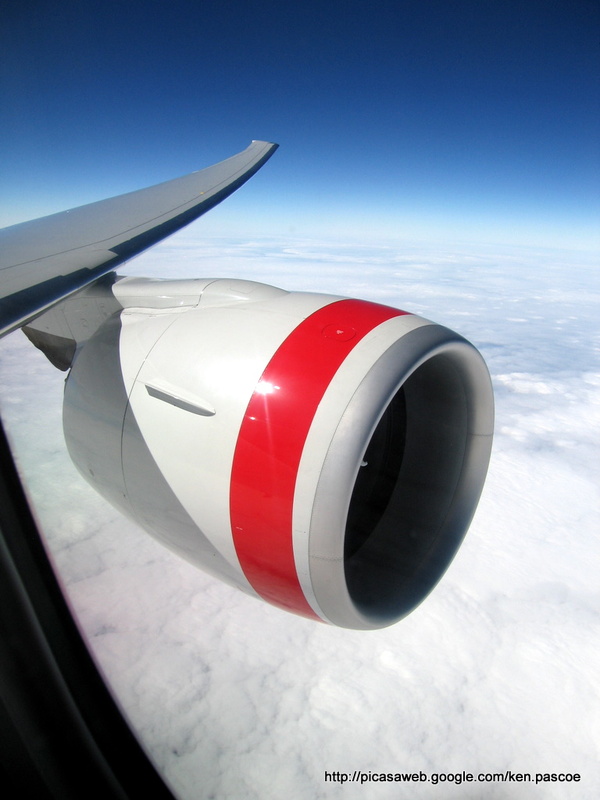 In fact if a TAC is going to fail during any engine failure – it will be during the more destructive ones. As counter-intuitive as this may seem, there’s a reason for it. Of course it fails all the time in the simulator and there’s a very good reason for that – so you can practice manual rudder control during engine failures! Occasionally during catastrophic engine failures, there are short periods of time when the engine parameters feed into the on board computers are invalid. When this is sensed by the TAC – it fails. Since TAC feeds in rudder pressure based on calculated thrust difference – if it can’t calculate thrust on an engine, it can’t safely feed in rudder. The good news is that once the Fuel Control Switch has been move to Cutoff (engine secure) – TAC can be cycled and will return. It knows now exactly how much thrust is coming from that damaged engine – None. It’s a common error for crew to occasionally trim on top of TAC. This should clearly be avoided, but it’s not a train smash. Any time you find that you’ve trimmed on TAC – use the Trim Cancel Switch to remove all pilot inputs – this will not affect TAC operation. Don’t try and wind off the trim you think you wound on. The rudder trim inputs by the Pilot and the TAC are not cumulative – it’s a case of who does most wins. If you trim more than the TAC would, your trim affects the aircraft. 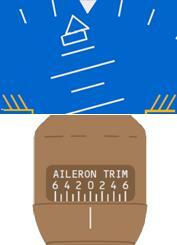 If you apply less trim than the TAC – TAC is trimming the aircraft. However in this latter case, as soon as thrust comes off the live engine, TAC will reduce trim input – but pilot trim input will remain. It’s a common belief that TAC applies slightly inadequate trim in order to leave the pilot with some feeling as to the asymmetric nature of the flight, and there is some justification for this belief based on documentation in the FCOM and FCTM. However if you manually trim the aircraft yourself (No TAC) then you’re aiming for Control Wheel Neutral (no aileron deflection, assessed through the aileron trim indication on the control wheel), a slight angle of bank towards the live engine, and a small slip on the balance indicator. This is the aircraft in trim with minimum drag for efficient engine out flight. In summary – TAC usually works and works well. It doesn’t preclude the pilot from making inputs during engine failures – far from it, the design actually encourages the pilot to fly the aircraft and merely assists if the job isn’t quite being done well enough. Most pilots can fly quite well when the TAC fails and only realise later on that it happened that way. Perhaps the most common error is forgetting about the TAC and trimming on top – which is one reason why the Trim Cancel switch is there.